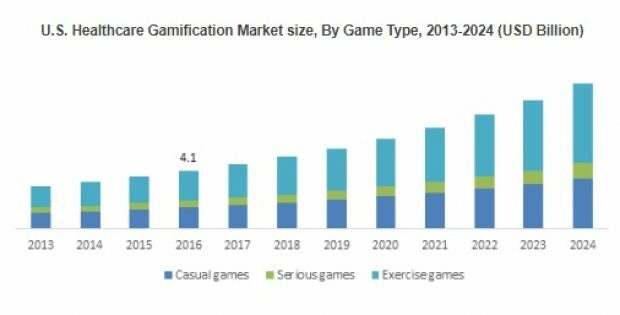 Global Healthcare Gamification Market to exceed USD 40 billion by 2024; according to a new research report by Global Market Insights, Inc. Increasing use of social media and smartphones coupled with rising adoption of gamified models through the healthcare should fuel industry growth over the forecast timeframe. Technological advancements for development of games for wellness adherence, patient engagement and outcome based medicine will further stimulate the business revenue. Growing awareness towards personal health and preventive measures, rising shift from disease-curing to disease prevention approach, mounting use of wearables that continuously collect health and contextual data will fuel the healthcare gamification market size. Initiatives to improve patient medication compliance coupled with customized treatment based on result tracking to enable ongoing patient education and engagement will result to exponential growth of industry. Weight management, Obesity, and Nutrition: Since obesity has turned out to be a global concern, gaming apps that have the ability to scrutinize nutrition and weight are gaining prominence in the global healthcare gamification market. In fact, scientists affirm that obesity as well as other chronic disorders are ideal to be treated with game based apps that would be able to track health metrics in an engaging manner. In this regard, HealthMonth, is presently taking the industry by storm. Claimed to bring a sure-shot improvement in health-related behaviour once in a month, HealthMonth amalgamates nutrition science with behavioural change social gaming tool. Cognitive, emotional, mental, and behavioural health: healthy mind healthy body- the proverb can be rightly placed to keep in sync the latest trend of healthcare gamification industry. Studies depict there are many emotional and cognitive areas that can be befitted by gaming theory and heathcare gamification market players have already penetrated this particular sphere. For instance, BellyBio, brainstormed by RelaxLine, a leading name in healthcare gamification industry is a bio-feedback app that helps to release anxiety through ocean sounds and deep breathing exercises. Simulation: Not only in improving patient’s health related behavioural pattern, simulation games, of late, are increasingly used to upgrade clinicians’ and medical researchers’ technical knowhow, pertaining to patient monitoring, diagnosis, and medical procedures. In fact, on a broader spectrum, immersive simulations are often put to use for enhancing patient health by making them understand and visualize the health-related behavioural consequences. Telehealth is another burgeoning arena where healthcare gamification market giants are making rapid inroads. Leveraging gaming theory is emerging as a popular channel to encourage rural populations about health outcomes. Integration of telecommunications and electronic information has proved to be exceptionally beneficial in supporting long distance clinical healthcare. With the extensive penetration of streamlined media, video conferencing, and other innovative technology, healthcare gamification industry share from telehealth is certain to be one of the ruminant growth avenues in the coming years. U.S. healthcare gamification market should grow at a significant rate over the forecast period. 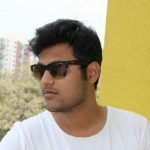 Increasing use of gamification model that consents designing of an all-inclusive game which can work well for any system will fuel the industry share. Rising push towards electronic health record with developing mobile technology to support work force and all players in the Canadian Healthcare arena will fuel the Canada healthcare gamification market size. Australia healthcare gamification market will witness robust growth over the forecast period. Growing impact of online interventions for mental health, effectiveness of games for depression and improved engagement through game-based motivational dynamics in the country should augment the market growth in the coming years. Some of the major players in the business are Microsoft, Fitbit, Bunchball, Ayogo Health, EveryMove, Hubbub Health, Nike, JawBone, Akili Interactive labs and Mango Health. Companies adopt various strategies such as planned investments, new product development and technological advancement to expand their market position and increase the product portfolio.